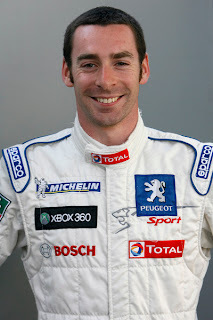 Found this article in the daily Racer.com Top Stories ‘’Schpeile languishing in duh No Fenders mailbox recently and it’s a great ‘lil article about the extremely talented Frenchman “Symone Pagenoe,” aka Simon Pagenaud who I’m a huge fan of and would really like to see him get a fulltime ride in the ‘BigBoyz Indy Car ranks next year. And whilst I’ve previously pined for him becoming TAG’s teammate next year at Sam Schmidt, it’d be cool to see him be part of a 3-car Dreyer & Reinbold “Superteam” next year with Simon’s partner’s being a fully healed ‘N 100% fit Justin ‘BIG UNIT Wilson and sophomore ‘BIA (Ana Beatriz) alongside those guys. Then again I’d enjoy seeing Jean Girard, Err ‘Symone paired up with Ho-pin Tung next year at Dragon Racing! Guess we’ll just haveda wait ‘n see, eh? Simon Pagenaud – future IndyCar Champ?